Refugees are regularly stereotyped in unflattering or cruel ways. Whether they’re cast as hapless beggars, faceless members of a horde refusing to assimilate, or drains on a society’s resources, descriptions of refugees around the world rarely emphasize their individual talents and capabilities, or their all-too-human stories. 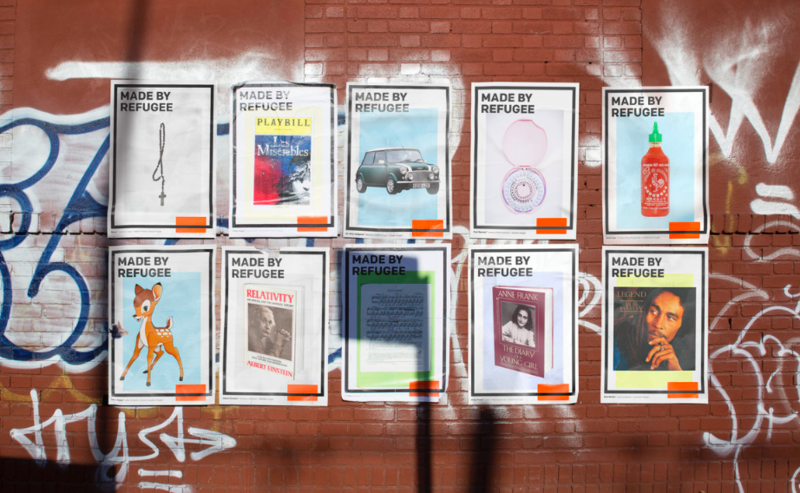 To counter this negative stereotype, the pair created a label that says “Made by Refugees” and they’re going throughout New York putting it on products and items that were made possible by refugees. It’s fun and whimsical, but also a dead-serious project. The labels are simple paper cut-outs, clearly taped onto the products, and their directness is funny. But they also broadcast a message about the stakes of helping refugees, and what could be lost if societies refuse the claims made upon them by those most in need of help. So far, the pair have hit up corner markets, supermarkets, music stores, and libraries. Queen and Bob Marley records: Freddy Mercury and Bob Marley were refugees. 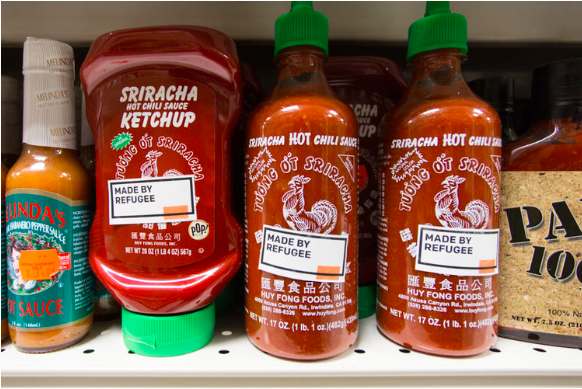 Sriracha hot sauce: made by entrepreneur, David Tran, a Vietnamese refugee. 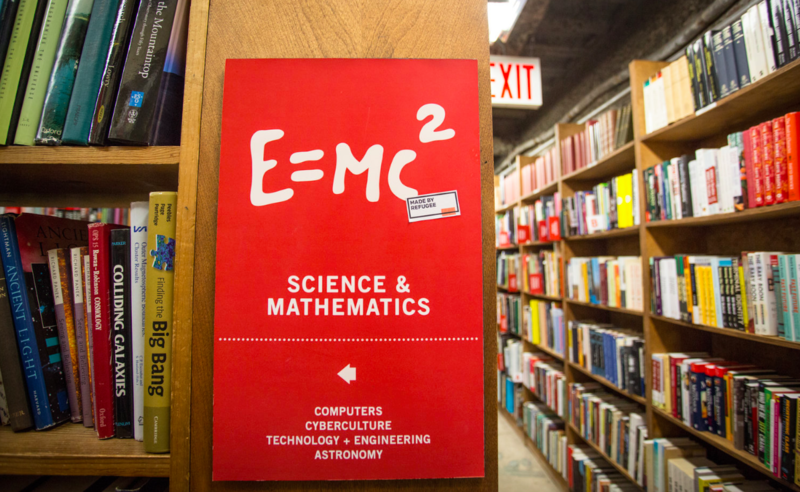 Books explaining the theory of relativity: made by Albert Einstein, a refugee from Germany. 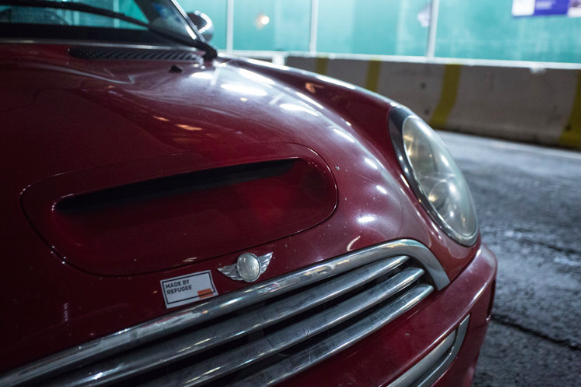 Mini Coopers: designed by inventor, Sir Alec Issigonis, a Greek refugee. 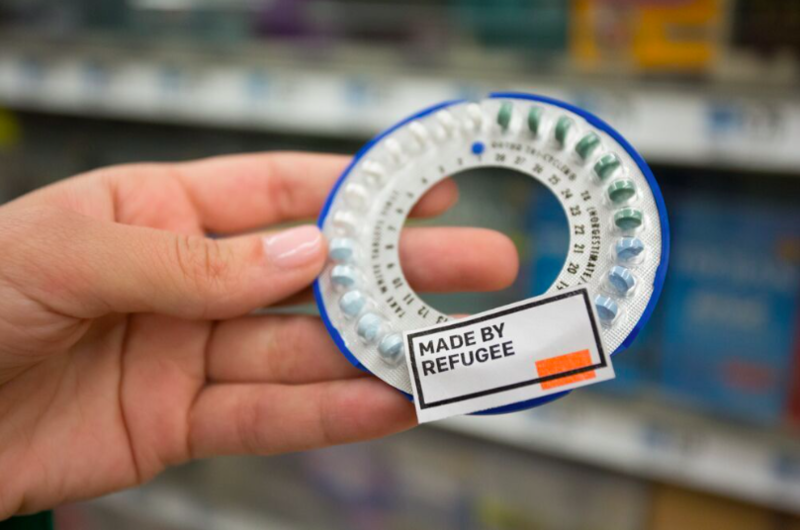 Birth control: invented by Carl Djerassi, an Austrian refugee. 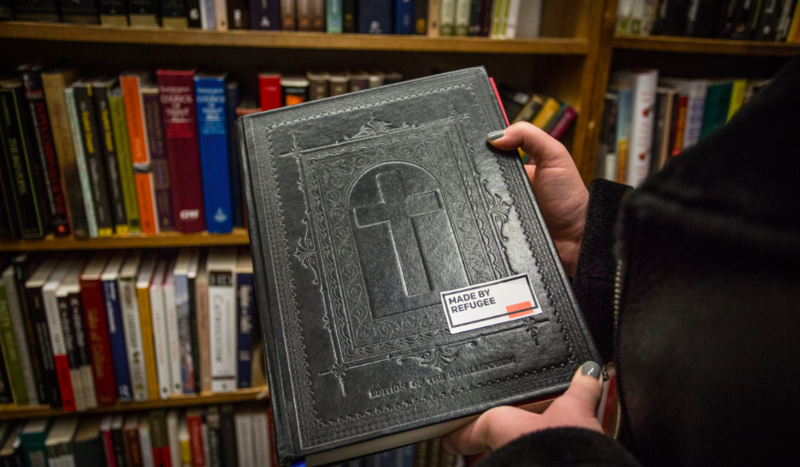 The Bible: Jesus was a refugee. Quan and Young encourage anyone from around the world to print out the labels and stick them onto products and items in their towns and cities. The world is going through the worst refugee crisis since World War II and countries everywhere seem embroiled in existential debates about how to respond. For example, US President Donald Trump banned all refugees for 120 days and far-right anti-refugee leaders in Europe are rising. Meanwhile, only the most resource-strained countries seem to be taking in refugees in any meaningful way. The more reminders there are that refugees are human beings, too, full of talents and inspirations, the more welcoming societies will become. Ultimately, the artists want people to realize that refugees are far more than suffering and need and that we can all benefit by extending a helping hand. “I do not think one project will dismantle all stereotypes but if I can change one person’s view in the world, I think this was a success,” Quan said.